You probably learned in school that the negative in French is formed with two words surrounding the verb: “ne” (or n’) and “pas”. Then, you go to France, and you are shocked to never hear the “ne.” It’s because we don’t use it. Rather, I should say, we glide so quickly over it that it disappears. 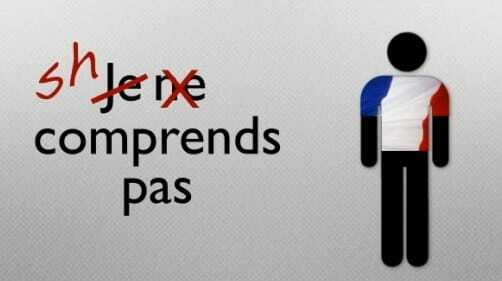 First, you should know that no French person today in France would say: “Je NE comprends pas” like the over-enunciated French teaching method are teaching you. When French people speak, they are likely to say something that sounds like “Jeun compran pa”, gliding over the “ne” part of the negative. We still write “Je ne comprends pas.” – with all the silent French letters! This is why I often say that written French and spoken French are like two different languages. However, when someone texts for example, you’ll see “j’comprends pas”, immitating the way we actually speak. This is not correct or proper French, and I don’t encourage you to write this way, but you’ll see it. 3 – Without the “ne” How do you Know the French Sentence in Negative? So, how do you know a sentence is in the negative if you don’t say the “ne” in French? that replace the pas, to understand that the sentence is in the negative. 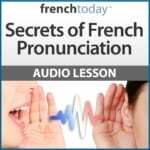 If this concept is new to you, it is essential you train on it with audio recordings featuring modern French -I highly recommend you check out my unique downloadable French audiobooks, featuring different speeds of recording and enunciation, and focussing on today’s modern glided pronunciation.